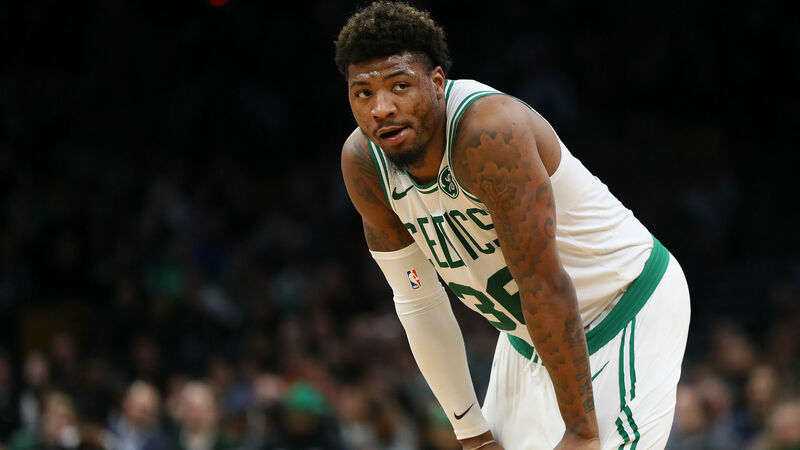 The NBA fined Boston Celtics guard Marcus Smart $50,000 after shoving Philadelphia 76ers All-Star Joel Embiid. Smart was assessed a Flagrant two-foul and ejected from Boston's 118-115 loss to Philadelphia on Wednesday following his push on Embiid. The 25-year-old's actions proved costly as the league handed down a fine on Thursday. Smart's fine was also based on "repeated acts of unsportsmanlike conduct during NBA games, including two prior incidents this season which have resulted in fines," including a January matchup against the Atlanta Hawks and preseason game with the Cleveland Cavaliers. The play occurred early in the third quarter when the two players became tangled up. Smart fell to the floor, jumped to his feet and pushed Embiid. Smart scored three points on one-of-four shooting and added four assists before exiting. Embiid was not ejected and remained in the game.